Implementation of the Patient Protection and Affordable Care Act (PPACA) will result in a number of new changes to the way that healthcare is offered and provided. The areas of most significant change relate to increased coverage options that will move the marketplace in the direction of better consumer protections. According to the U.S. Department of Health and Human Services via HealthCare.gov, the overall goal of the PPACA is to, “offer clear choices for consumers and provide new ways to hold insurance companies accountable.” The law now makes certain coverage practices illegal and changes the scope of coverage so that consumers get more out of the coverage they pay for. Offers assistance for those who are uninsured due to a pre-existing condition. Extends coverage for dependents up to age 26. Develops standardized coverage documents so that consumers can make informed. 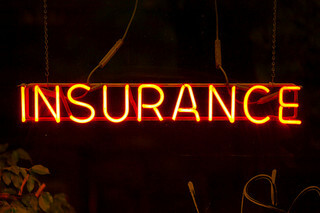 comparisons when shopping for health insurance. Eliminates lifetime and unreasonable annual limits on benefits. Prohibits health insurance policies from being rescinded. Makes preventive services and immunizations a requirement. Places a cap on the amount of administrative, non-medical expenditures that insurance companies are allowed to spend. Stay tuned for further updates and information . . .